Get the Full StoryColby Covington believes Tyron Woodley is bad for Kamaru Usman s health. 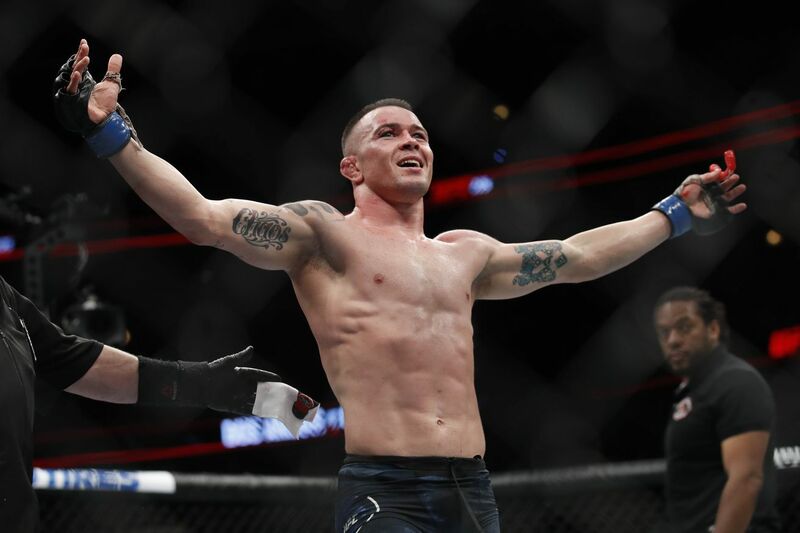 Colby Covington has a vetted interest in UFC 235 s co-main event and he is confident Tyron Woodley will wipe the floor with Kamaru Usman. Covington or has he likes to be called, America s champ took America s Pick of the Week north of the border when speaking to Canada s TSN Radio. I see Woodley starching Usman, Covington said. I think Usman s inexperience, he hasn t really fought a good wrestler that can strike too. He doesn t really have a good strategy. He tries to go forward and pressure a fighter but he doesn t really have gas like that. He thinks he does but he really doesn t, so I think he s gonna get knocked out. He s been dropped in fights. He got dropped by my teammate Hayder Hassan, he almost got knocked out by that one kid that was a jobber Emil... whatever Emil Meek . So he s gonna walk into something, he assured. He s walked into things and been dropped multiple times. He s already starting to show signs of CTE so I think Tyron Woodley s gonna knock him out. Covington was a little more cordial when discussing Robbie Lawler s brain health. It seems even an MMA heel like Covington is charmed by the beloved Lawler. Robbie s a cool guy, I like the guy, but I hope he retires soon. I have a lot of love for that guy. He has a family, explained Covington. He needs to think about the longevity of his life and his brain health and he needs to think about getting out of this sport. That is why Covington is picking Ben Askren to beat Lawler at UFC 235: Ben Askren looks like a 36-year-old virgin, Covington said. He looks like my science teacher. That guy s a joke. What s wrong with that guy? But all things aside, I think he s going to beat Robbie because Robbie s the oldest man in the sport. He has the most significant strikes to the head in UFC history. UFC 235 takes place in Las Vegas, NV on Saturday, March 2. Jon Jones and Anthony Smith vie for the UFC light-heavyweight title in the main event. The co-main event features Woodley and Usman in a welterweight title fight.